The terrigen cloud has been a threat looming over the heads of every mutant alive. 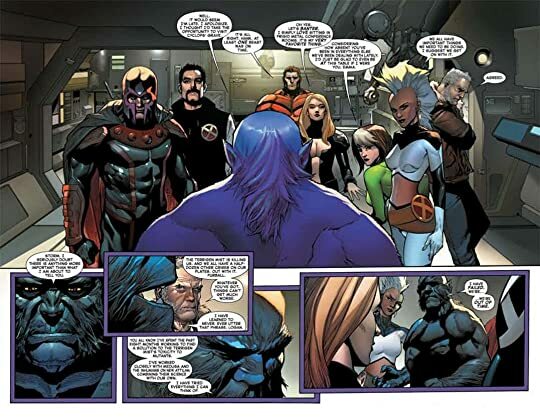 Beast has been working with the Inhumans on a solution, but he has run out of time. The terrigen cloud is making the Earth uninhabitable for mutants. Beast warns the X-Men first. They decide to destroy the cloud and defeat the Inhumans. War over the survival of mutant kind is coming to New Attilan. Inhumans vs X-Men was really bad. There is no other way for me to say it. I like the Inhumans and the X-Men, but this entire event was unnecessary. As happens so often in events characters behave out of character so that the story can advance. 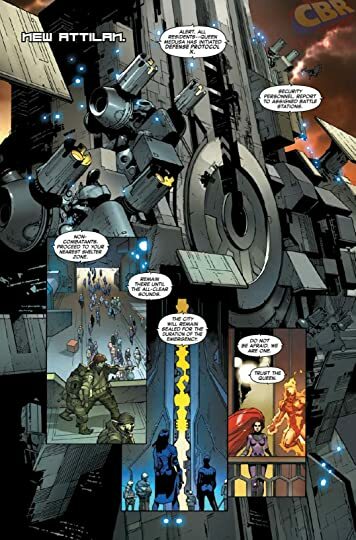 The majority of the series is spent with the Inhumans having no clue why the mutants are attacking them. These characters have relationships with one another and rather than talking the X-Men go right to fighting. The Inhumans generally try to survive not knowing why anything was happening. Marvel spent years building to Inhumans vs X-Men and it was a letdown in practically every fashion. Stories like this one make me wonder why I bother reading comics at all. It was all just bad. It's such a shame.